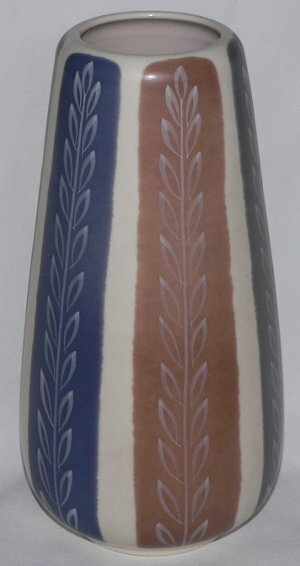 Poole Pottery Contemporary Freeform range vase decorated in the PGS pattern. 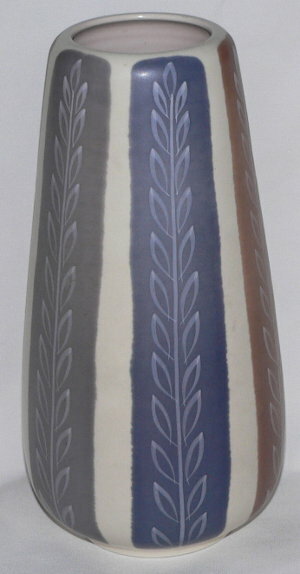 This Poole Pottery pattern was designed by Alfred Read. 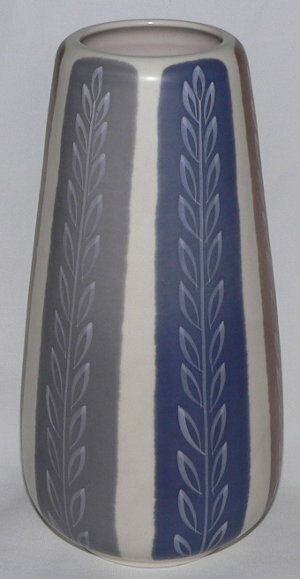 This Poole vase is shape number 686 and stands approximately 25cm tall. 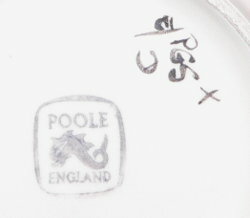 On the base of this Poole vase is the Poole England dolphin pottery mark dating c1955-1959, the impressed shape number 686, the Poole pattern code PGS and the decorator mark X for Gwen Haskins. Condition: Excellent overall condition. 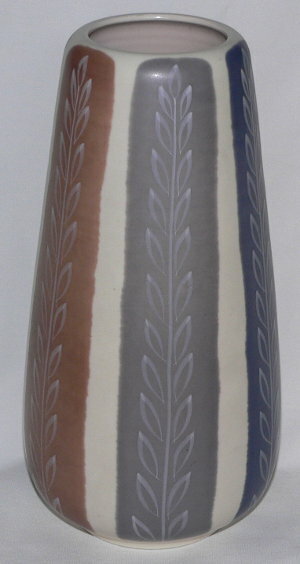 An unusual and superb contemporary Poole freeform vase.